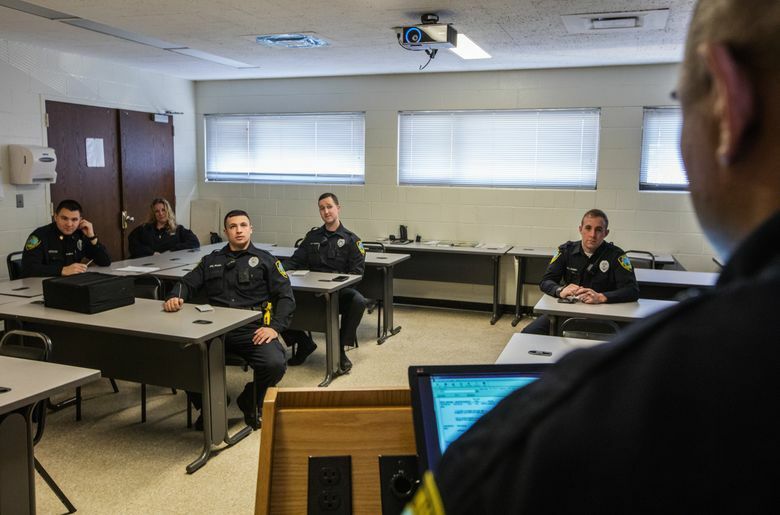 East Haven plunged into meeting the terms of a federal settlement agreement to adopt police reforms, while Seattle got off to a slower start. Seattle and East Haven were notified within days of each other in December 2011 that the U.S. Justice Department had found a pattern of unconstitutional policing in their communities. Both questioned the results and expressed concerns about the potential costs of making changes. Each took months to reach settlement agreements with the Justice Department. But once they did, Seattle, the big city, and East Haven, the small town, took different paths. Seattle’s effort got off to a rocky start, although it has made significant strides since hiring Kathleen O’Toole as police chief in June 2014. After agreeing in 2012 to reforms to address excessive force and biased policing, Seattle officials fought over who should be the federal monitor overseeing the effort. Ultimately, the City Council forced then-Mayor Mike McGinn to accept its preference in October 2012. East Haven, which had been cited for discriminatory practices, worked quickly with the Justice Department to make a selection: O’Toole, a former Boston police commissioner, who held the position until taking the Seattle job. It also moved quickly to adopt reforms. Seattle was plagued by problems, which were noted by the monitor, Merrick Bobb, a Los Angeles-based police-accountability consultant. In his first report card in April 2013, Bobb found the city had taken the first steps toward compliance. But implementation had been uneven and resistance remained strong, his report said. A stinging report followed in November 2013, noting resistance in the top ranks, error-ridden data collection and failures to fully and fairly analyze shootings by officers. Not until a new mayor, Ed Murray, took office in January 2014 did things begin to significantly change, although Murray got off to a bumpy start with his interim police chief. Murray’s hiring of O’Toole — followed by a major shake-up in the command staff — ushered in an upswing cited by the monitor. East Haven, by comparison, brought in a new chief from the outside even before reaching its settlement agreement, accelerating its efforts. Most recently, Bobb has found Seattle’s department to be in initial compliance on a range of key reforms. But it remains unclear when Seattle might be found in full compliance, while East Haven is nearing that milestone. One factor is that Seattle’s agreement with the Justice Department, unlike East Haven’s, contains no set timetable. East Haven established a four-year time frame, which provided a sense of urgency and a light at the end of the tunnel. Without question, the complexities of carrying out broad change in a much-larger city, with many more police officers, public officials and civic voices, contributed to the different pace of reform in Seattle. But so did the slower commitment to change, which isn’t governed by size. “The same principles apply. And it’s just a matter of scale,” O’Toole said. East Haven had to accomplish the same goals, she said. “At the end of the day, it’s all about leadership,” O’Toole said, expressing confidence in the team she has put together. Collaboration among all parties is the key to success, she said, stressing she brought that belief to her role in East Haven and her job in Seattle.